Colorful cars for teaching motions and collision. 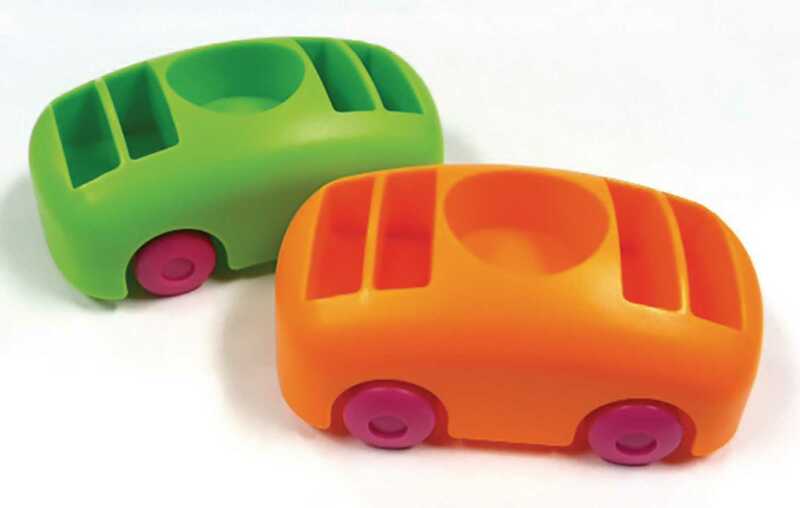 Whether studying collision or motion these cars make a great hands-on experience for your students. The recessed cup allow you to vary the mass of the car for collision or acceleration experiments. The slots hold ring magnets to allow experiment sin elastic and inelastic collisions. Mass and ring magnets are sold separately.